At 3M, we apply science in collaborative ways to improve lives daily. 3M is a global science company that never stops inventing. Using 46 technology platforms, our integrated team of scientists and researchers works with customers to create breakthroughs. Our inventions have improved daily life for hundreds of millions of people all over the world. With $32 billion in sales, our 91,000 employees connect with customers all around the world. Scientists, researchers and marketers work across countries and across subjects to solve challenges big and small. AkzoNobel creates everyday essentials to make people’s lives more liveable and inspiring. As a leading global paints and coatings company and a major producer of specialty chemicals, we supply essential ingredients, essential protection and essential color to industries and consumers worldwide. Backed by a pioneering heritage, our innovative products and sustainable technologies are designed to meet the growing demands of our fast-changing planet, while making life easier. Headquartered in Amsterdam, the Netherlands, we have approximately 45,000 people in around 80 countries, while our portfolio includes well-known brands such as Sikkens, Lesonal, Wanda, Sikkens Autocoat BT, and U-TECH. Consistently ranked as a leader in sustainability, we are dedicated to energizing cities and communities while creating a protected, colorful world where life is improved by what we do. ALLDATA LLC is an online source for automotive OEM (Original Equipment Manufacturer) information. ALLDATA provides vehicle manufacturers’ diagnostic and repair information. ALLDATA was founded in 1986 to meet market demand for OE repair information. As computer technology took hold, ALLDATA began compiling the largest single source of OEM information available and converted it into a digital format. ALLDATA is known for online OEM information, used by over 300,000 professional technicians worldwide. ALLDATA expanded its product line to include Collision information, business tools and support services for the global automotive industry. Vin Labels – Tire Labels & Under hood Labels delivered to your collision center in 1 to 2 days. Singular focus on providing brilliant coatings sets us apart. 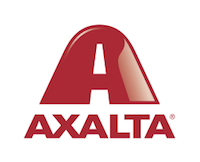 Axalta Coating Systems is a leading global coatings company dedicated solely to the development, manufacture and sale of liquid and powder coatings. Axalta products increase durability, enhance productivity and add beauty. We provide a range of performance and transportation coatings for manufacturers of light and commercial vehicles, the refinish aftermarket and for many industrial coating system applications. Innovative products and services include paint and powder, color matching tools, application technologies and customer training, support and business management systems. Our scale ensures we can deliver innovative coating systems around the world. 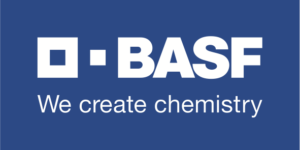 As the world’s largest chemical company, BASF offers advanced paint technologies, set apart with products backed by support in technical training, color information systems and business management. BASF Automotive Refinish Coatings develops and markets the highest-quality coatings available for the collision repair, commercial fleet, and automotive specialty markets. Customers are at the heart of everything BASF does. That’s why BASF has spent more than 150 years working side by side with customers, listening to needs and developing solutions to sustain the future of collision centers in a rapidly evolving industry. BASF offers quality coatings and tailored solutions to create greater efficiencies, productivity, profitability and sustainability in our partner collision centers. Car-O-Liner Group is the leading global manufacturer of collision repair and wheel alignment systems. The group?s brands include Car-O-Liner, Josam, TruckCam, and Car-O-Liner Academy. CCC provides vehicle lifecycle solutions for OEMs, Insurers and Body Shops to help our partners operate with maximum efficiency. Enterprise Rent-A-Car offers comprehensive transportation and technology solutions to the automotive replacement industry. From car rental, car-sharing, truck rental, fleet management, even car sales, Enterprise is the resource for mobility. Founded in 1957, Enterprise is known for their extensive network of 6500 convenient locations, affordable rates and outstanding customer service. Essential Properties is a real estate investment company that acquires, owns and manages middle market, single-tenant properties operating in service or experience-based businesses. Our portfolio is based on an investment strategy that focuses on properties in seven sectors: automotive services, car washes, restaurants (quick service and casual and family dining), medical, dental, and veterinary services, convenience stores, entertainment, childcare, and health and fitness. We believe that properties in these businesses are essential to the generation of the tenants’ sales and profits, these businesses exhibit favorable growth characteristics, and are these businesses are generally insulated from e-commerce pressure. We currently own over 500 properties across the United States. The leading manufacturer of paint booths and finishing technology, Global Finishing Solutions® (GFS) provides body shops and collision centers across the globe with equipment and services that improve shop productivity and paint finish quality. With an extensive history in the finishing industry, GFS is experienced at designing and building high-quality paint finishing equipment — from the premium Ultra® Booth line and budget-friendly Performer® Booth line to the innovative REVO Accelerated Curing Systems. The majority of GFS’ products are made in the U.S. at their 340,000-square-foot facility in Osseo, Wisconsin. In addition to a complete product line, GFS offers services such as shop layout designs, preventative maintenance programs and painter and technician training to help businesses be more productive, efficient and profitable. The Hertz U.S. Off Airport location network provides special rates and service for insurance replacement and body shop service rentals. Hertz. We’re here to get you there! I-CAR’s focus is to provide everyone involved in collision repair with access to high-quality, industry-recognized training solutions. I-CAR also encourages and supports ongoing conversations in the industry on issues that impact collision repair. I-CAR delivers its services and training throughout the United States. I-CAR training content is also licensed for distribution in Canada, Australia and New Zealand. At PPG (NYSE:PPG), we work every day to develop and deliver the paints, coatings and materials that our customers have trusted for more than 130 years. Through dedication and creativity, we solve our customers’ biggest challenges, collaborating closely to find the right path forward. With headquarters in Pittsburgh, we operate and innovate in more than 70 countries and reported net sales of $14.8 billion in 2016. We serve customers in construction, consumer products, industrial and transportation markets and aftermarkets. Refinish Solutions Group (RSG) is an initiative driven by Saint-Gobain to deliver cutting edge process solutions and best practices training programs that allow shops and technicians to stay up-to-date with the latest repair and refinishing technologies and advancements. RSG strives to offer the highest quality products and support for every process in collision repair. Partner brands include: Norton Abrasives, Carborundum Abrasives, American Tape, Lord Fusor, Mothers Detail Products, DeVilbiss, and Saint-Gobain’s Solar Guard. More information about RSG and our partnerships can be found at: www.refinishsolutionsgroup.com. Providing high-performance automotive, fleet and aerospace coatings and associated products, Sherwin-Williams Automotive Finishes serves a variety of customers including automotive collision repair facilities, dealerships, fleet owners/refinishers, jobber distributors and original equipment manufacturers. A total commitment to excellence in technology, products and process-driven solutions provides a competitive advantage for Sherwin-Williams Automotive Finishes’ results-based customers. Some of the brand’s leading products and services include Ultra 7000® Refinish System, CC200 Dynamic Clearcoat, ATX™ Refinish System and NEW Ultra 9K Waterborne Basecoat System. In addition to providing revolutionary products to the field, Sherwin-Williams Automotive Finishes continues to score with its Lean Stock™ inventory management system and its A-Plus™ Network. Both programs are designed to help body shops and members grow their business. Sherwin-Williams Automotive Finishes is the solution for industry excellence and great paint. Visit sherwin-automotive.com. Audatex, a Solera company, is a leading provider of solutions for the automotive and insurance claim industry. Their portfolio of solution is comprised of software, people resources and research to drive efficiencies to the claims supply chain. Insurance Carriers, Independent Appraisers and Collision Repair Shops can depend on accurate estimates and valuations by partnering with Audatex. Currently, Audatex is aligning with their sister company, Identifix, to bring technical expertise to Collision Repair Shops including offering OE procedural guides backed by one million mechanical confirmed fixes and a Technician’s portable scanning tool. Visit audatex.us. Symach is worldwide leader in building new collision shops all around the world using a new repair process called FixLine, which reduces the cost of repair by 25 to 30% and yields a key to key time of two days on average. Symach owns many patents of new technologies such as Drytronic that dries every paint in few seconds. Since 2001, in its 170,000 sq ft facility located in Bologna-Italy, Symach has re-invented and produced more than 30 different products for the collision shop. Some of Symach most famous brands are: RoboDry, EasyDry, FlyDry, SprayTron, KombiTron, CarMover, ShopLine. Besides producing equipment, Symach offers professional consultancy in process design, organization and training for the body shop, to move customers into success; Symach is prepared and organized to support the change, starting from the design of the new work process, the new body shop layout, and the training program for all technicians and management, including various topics such as programming roles, daily scheduling of repairs, correctly managing spare parts flow, weekly reports and KPIs, and many others.